This Valentine's Day Zinnias Boutique is sharing the love. 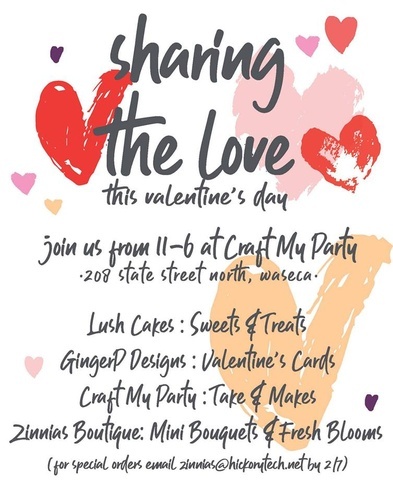 On Thursday, February 14 we will be located at Craft My Party along with Lush Cakes. Join in us from 11-6 to grab a gift for someone special or just for yourself! Here is what you will find at CMP!